Dental procedures can seem scarier than they actually are. Let Felton Dental Care – Dr. Brett R. Felton, DMD offer 6 ways to prepare yourself mentally, emotionally and physically before your big dental day. First, remember Dr. Felton is trained to provide the best care and comfort possible. Second, take some time to relax and consider what you are anxious about. Take deep breaths in and slowly let them out as you weigh the reasons for and against taking these steps to a better you. Remember that many folks have been in your shoes and everything worked out fine. 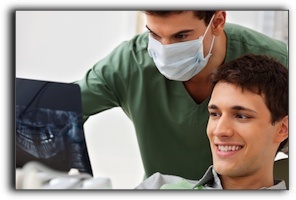 Especially all of our visitors who came in for general dentistry, our most popular service. Third, know your medical history. You may be asked to fill out a medical history and medications form, so be sure you know what medications and supplements you are currently taking and review past hospitalizations and illnesses. Fourth, have a dental plan. Come in for a thorough consultation. If we know all the dental work or cosmetic dentistry you want to get done, then we’ll know if combining any of it can save you time and money. We offer restorative dentistry, laser dentistry, dental implants, porcelain veneers, and implant supported dentures, to name just a few. Fifth, trust the outstanding staff at Felton Dental Care – Dr. Brett R. Felton, DMD to guide you through the before, during and after process. We’ve been doing this since 2007. Sixth, our final and most important suggestion! Ask all the questions that you actually want answered before you have dental tools and gloved hands in your mouth!